Sometimes we think that pennies are not worth it, that they are useless currency and we should not take them when they are given to us as change. But besides used as currency, pennies can take part in several forms of craft. Have a look at these great ideas and see what you can do with these pennies. 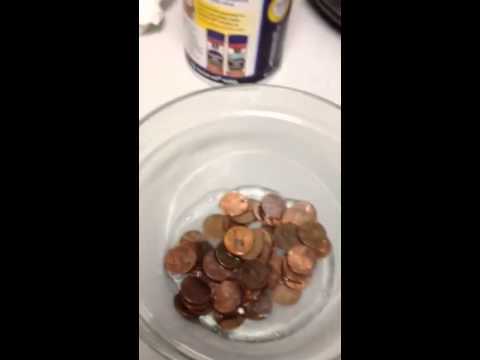 # 1 You Can Clean Some Old Pennies, Just Use White Vinegar And Salt. # 2 What About This Stamped Penny Pendant? # 3 These Different Colors Make A Great Penny Art. # 4 You Can Mark Special Dates With Pennies In A Frame. # 5 Great Fun For Kids With These Penny Spinners. # 6 You Can Enjoy This Modern Necklace. # 7 Or Try This Style, Instead. # 8 Pennies Made Into Buttons. # 9 Simpler Look For Penny Buttons. # 10 You Do Not Like The Copper Color? Then Paint The Pennies White! # 11 Turn The Old Bowling Ball Into A Beautiful Garden Orb. # 12 Frame Your Mirror With These Cents. # 13 What A Great Design! # 14 Lovely Table Top. # 16. What About This Tray Of Pennies? # 17 This Bar Made Of Pennies Is Incredible, Right? # 18 What About This Coffee Table? # 19 Lovely Vase Made Of Pennies. # 20 Coasters That Add The Right Touch. # 21 Pennies Can Be Art. # 22 Wall Art With Nice Block Letters. # 24 Or A Wall? # 25 Or May Be An Accent Area Only? # 26 Or May Be The Floor? Farmer Finds "Ancient Copper Coins", It Turns Out To Be Something Horrifying! Desk That Converts To A Bed- Workaholics Dream! These 23 Plastic Bottle Hacks Will Make You Most Creative At Your Home. Someone Hides Inside This Shark Resistant Cage, See What Happens When The Great White Breaks In!